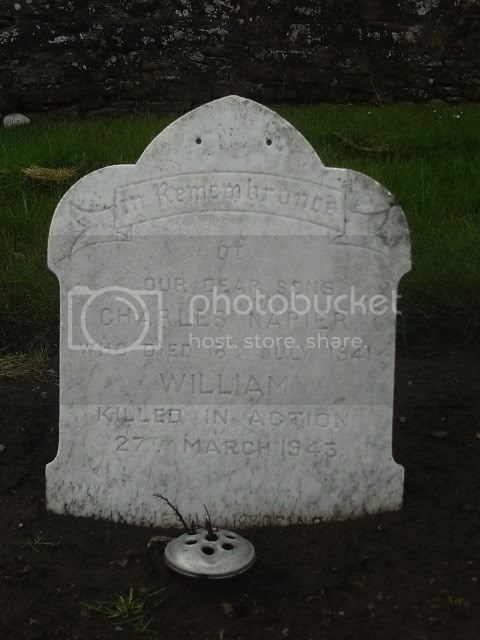 WILLIAM killed in action 27 March 1943 . This headstone is in the main part of the old churchyard nearto the gated entrance of the churchyard . Was curious about the SNWM Theatre of Death entry "AT SEA"
Various sources say that the 14th HLI was a "short lived unit in North Africa"
I wonder if William was lost in the sinking of the City of Guildford by U593 on 27 March 1943. City of Guildford (Master Clifford Collard) was hit and sunk. 70 crew members, 11 gunners and 48 army personnel were lost. The master, six crew members, one gunner and five army personnel were picked up by HMS Exmoor and landed at Benghazi. Thanks for that info Ken . seems tie in with what the CWGC index implied in their info section on that memorial to the missing . 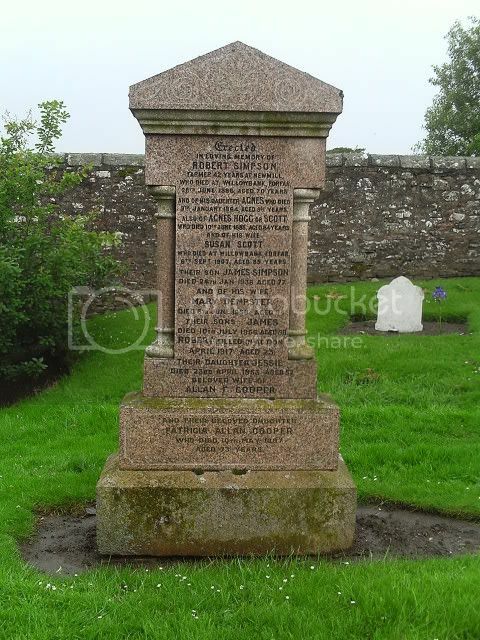 Additional information: Husband of Isabella Macdonald Dempster, of Coupar-Angus, Perthshire, Scotland. Grave/Memorial Reference: I. C. 19. Other Princess Patricia's Canadian Light Infantry. Grave/Memorial Reference: Pier and Face 10 C 10 D and 11 A. 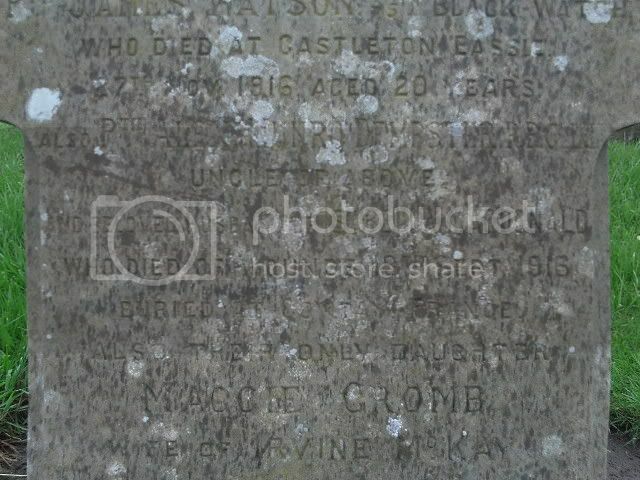 Is the grave in the second set of photos now a CWG? 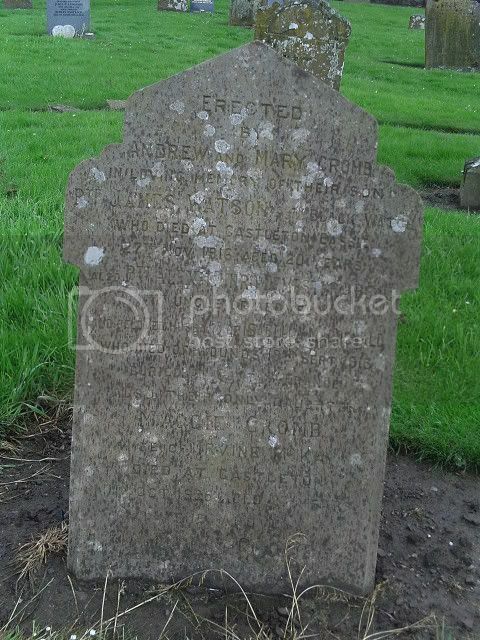 Additional information: Son of Andrew and Mary Cromb,of Castleton. N.B. : PLEASE NOTE This casualty was accepted for commemoration by the Commission recently.Please contact the Commission before planning a visit, for more information. Although it has a private headstone it is a war grave. James Watson Cromb was added to the CWGC Debt of Honour Roll on 24th April 2006. It appears that Alexander Dempster is his uncle. Correct on both counts gents and thanks for tidying up my rather sloppy efforts. 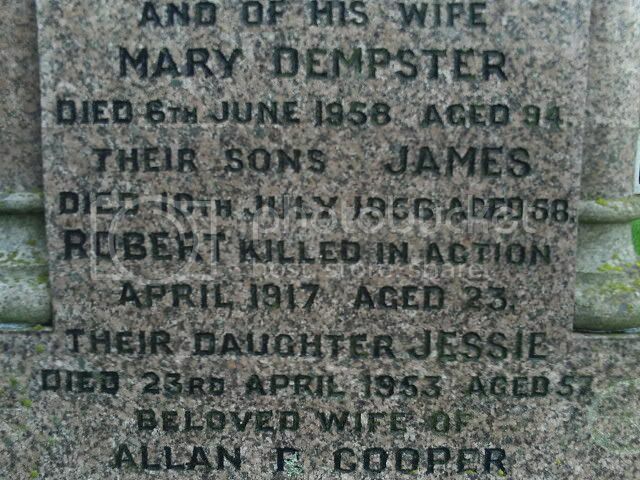 I'll get better pix of the Cromb/Dempster headstone next time I'm passing - light was atrocious. And good to see Pte Cromb being accepted by CWGC, albeit 90 years after the event.